Awesome Dog uses force-free training methods. Awesome Dog can teach you how to train your pet using positive methods and rewards. 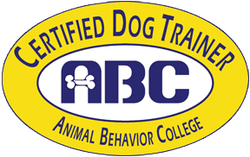 The process is far easier than you might imagine and the support you will receive along the way offers you and your pet an enjoyable training experience. Does he bark or lunge at other dogs while on leash or cower when meeting new people? Awesome Dog specializes in reactive dogs. Cara takes the time to help determine what process would work best for your dog. She teaches you not only how to help overcome the issues but to how to manage it while it’s happening. Do you want your puppy to be confident and comfortable around people, children, and other dogs? Cara will work with you and your puppy to learn proper socialization and basic manners. She will help you and your pup build a strong foundation for years to come. Do you need help with bringing a new cat into your home? Do your cat and dog not get along? Are you having behavior issues with your cats? Cara can help you solve behavior problems, learn basic manners or fun tricks. For private lessons please visit the Private Lesson tab. Cara will travel to the Eastside . Please call or email for more information. "We have a chocolate lab (his name is Kona) he was a challenge to walk on a leash as he wanted to lead, in other words he took us for a walk. We could not change this habit of his and my wife refused to take him on his leash for fear she would fall from him pulling so hard. 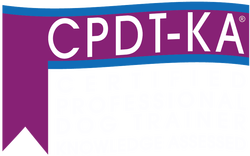 We had to do something so we contacted Cara Neely of Awesome Dog and just in a few training sessions she helped us get Kona under control. He now walks on his leash without pulling, he is content to walk at your side versus yanking you down the road. Cara was amazing in the way she got Kona to obey, she did this without the use of any stimulus collars. Her technique actually got Kona to want to listen and participate, you could see the excitement and the desire in him to want to behave. What a change, we highly recommend Awesome Dog to anyone needing assistance with their pet."